Freshly painted and new bedding throughout! New flatscreens, including one in each bunk bed! Our beaches have beautiful, clean, white sand! 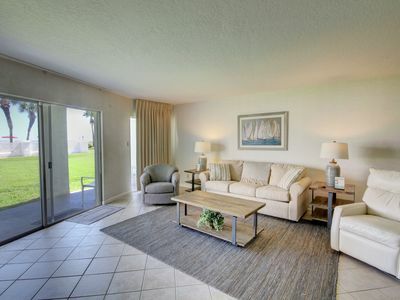 Free Amenities package included: Free Beach service, (1) Free 18-hole round of golf every day of your stay, (1) Free Dolphin Cruise ticket, Unlimited Movie Rentals! On-site Front Desk to serve your needs! 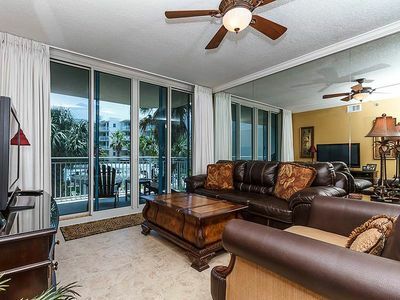 Luxurious yet comfortable condo with million dollar views, located directly on the beach. This unit, located on the fifth floor, has recently been painted and has all new bedding. New flatscreens have been added throughout and the kids will love having their very own TV in their bunk beds. The Master Bedroom has a King size bed and there are two single bunk beds in the main hallway, and a Queen Sleeper Sofa in the living room. The kitchen is equipped with brand new small appliances, and all the items you need to make this your home away from home, including dishes, silverware, and cookware. 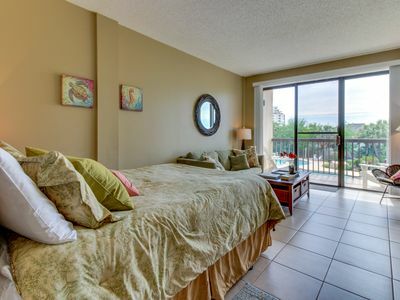 The unit is also equipped with linens, towels, and a washer/dryer. 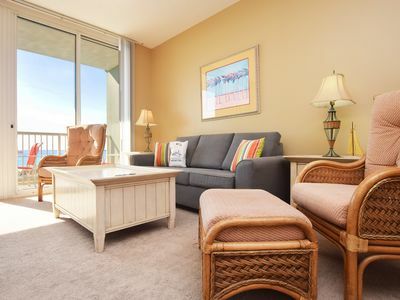 The balcony has brand new padded bistro outdoor furniture that is very comfortable so you can relax and enjoy a direct, unobstructed view of the ocean. 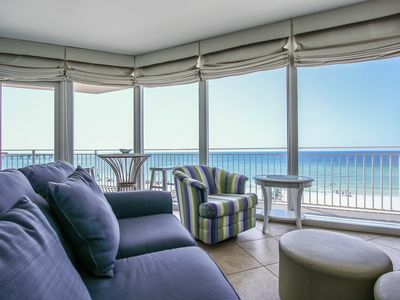 From the PRIVATE GULFRONT BALCONY you will delight in unobstructed views for miles of beautiful snow white beach, the incomparable artistry of beautiful sunsets, and the soothing sounds of the ocean caressing the shore. The children can play in the sparkling beach-side POOL. You will enjoy relaxing in the Master JACUZZI after a workout in the EXERCISE ROOM. 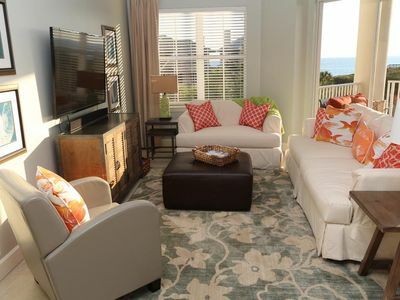 You can choose cooking a gourmet meal in the large fully-equipped kitchen, grilling in the BBQ area on the grounds in a picnic-style setting or dining in one of the many nearby casual or fine restaurants. 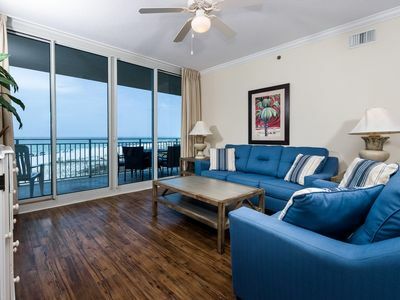 It is a short stroll over the boardwalk to swim in the inviting Gulf waters, build sandcastles, or to begin a peaceful walk along the silky soft sand. The boardwalk has a shower to spray off the sand after a day at the beach. 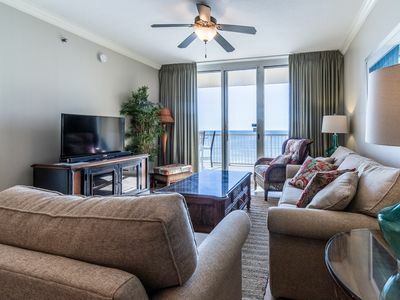 Pelican Isle is located near the Okaloosa Island fishing pier, The Gulfarium, the popular Boardwalk restaurants, shops and a children's playground on the beach. 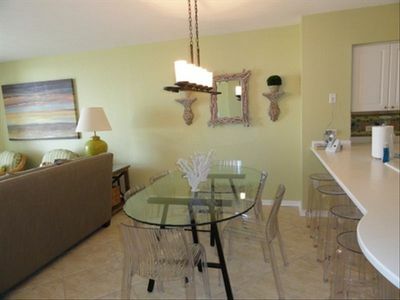 If attending a function at the Emerald Coast Conference Cente,r you will be less than a mile away. 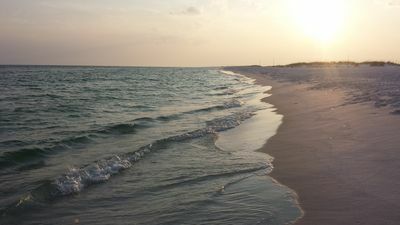 Though Destin and its attractions are only a short drive away, this stretch of powder white beach is much more secluded. 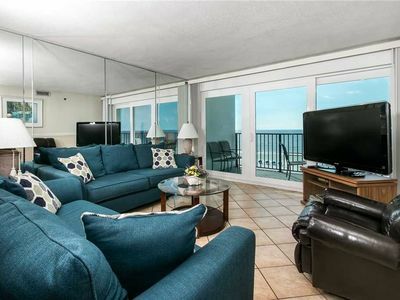 Okaloosa Island is conveniently located 1 mile from the New Convention Center, 2 miles from Fort Walton, and only 6 miles from Destin. 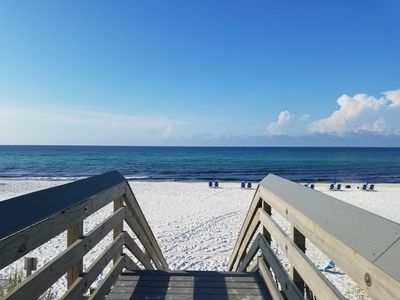 The sugar white sands and emerald green waters that stretch for nearly 25 miles have earned this area “Number One Beach in the South” rating by readers of Southern Living Magazine. Okaloosa Island is the Gulf front section of Fort Walton Beach and is located just across Brooks Bridge from the main town. 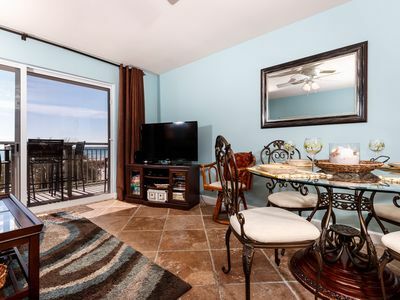 It is a water wonderland surrounded by the Gulf of Mexico, the Choctawhatchee Bay and Santa Rosa Sound. 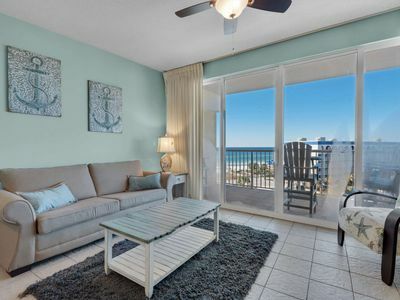 This barrier island's treasure is its miles of undisturbed soft, stunningly white sand, gentle sand dunes, sea oats, and the breathtaking colors of the water. Among the leisure activities available to vacationers are shopping, sightseeing, swimming, surfing, parasailing, kayaking, jet skiing, deep sea/fresh water fishing, boating, water skiing, snorkeling, scuba diving, and golfing (including miniature golf for the kids), cinema and live theater. Just across Brooks Bridge is the historic Indian Temple Mound and Museum, the Camp Walton Schoolhouse and the Children’s Science Museum . Next to the museum is Brook’s Landing, where people enjoy leisure strolls through the park, lounging on the grass under the oaks, or sitting under the gazebo watching the boats cruising through the Santa Rosa Sound. Ten minutes drive east is Destin Harbor with its many water sports, restaurants, shops, and charter fishing boats at HarborWalk Village. 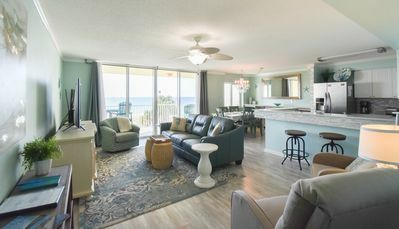 Popular attractions in nearby Destin are Big Kahuna’s Water Park and The Track Family Recreation Center, Gator Beach where the kids can feed and even hold the alligators and Destin Commons Mall. Silver Sands Designer Factory Stores in Miramar Beach is just 30 minutes away where you can ‘shop till you drop’ at over 100 factory stores. Azure 616 - Act fast, for best spring availability. Waterscape B301 - Spring availability – won’t last long! L O O K!! 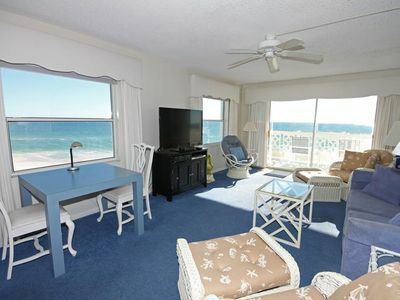 TOTAL Renovation, 2 KINGS, 2 QUEENS, #1 Reviewed, Free Beach Service! 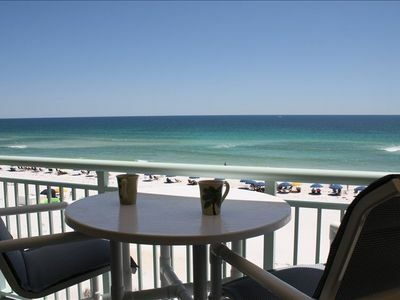 Destin/Ft Walton Beach - Gulf Front and Beautiful! UNIT 212! 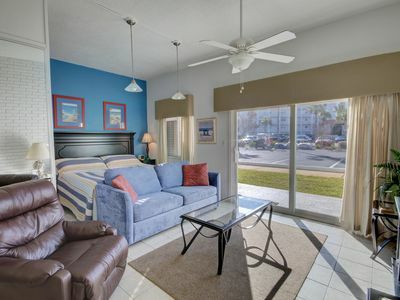 OPEN 4/28-5/4 ONLY $1064 TOTAL!BOOK ONLINE AND SAVE!